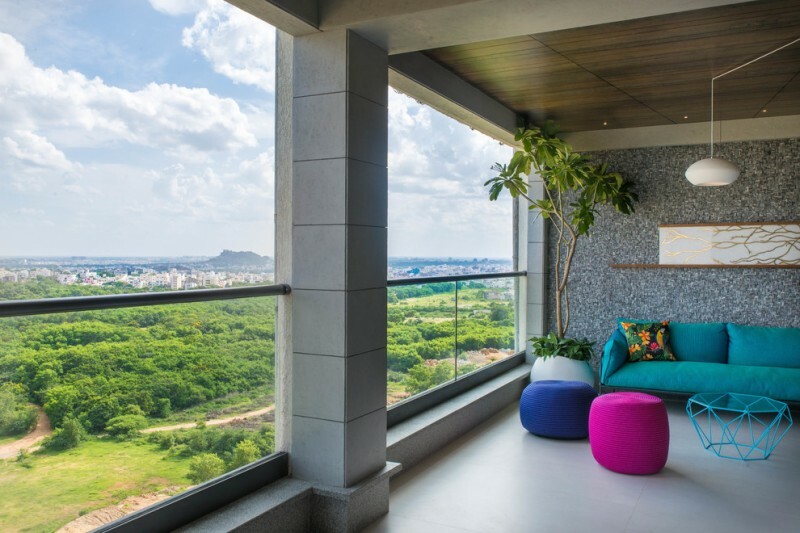 Balcony privacy ideas, there is no better spot than balcony to enjoy the outside from your home or apartment. 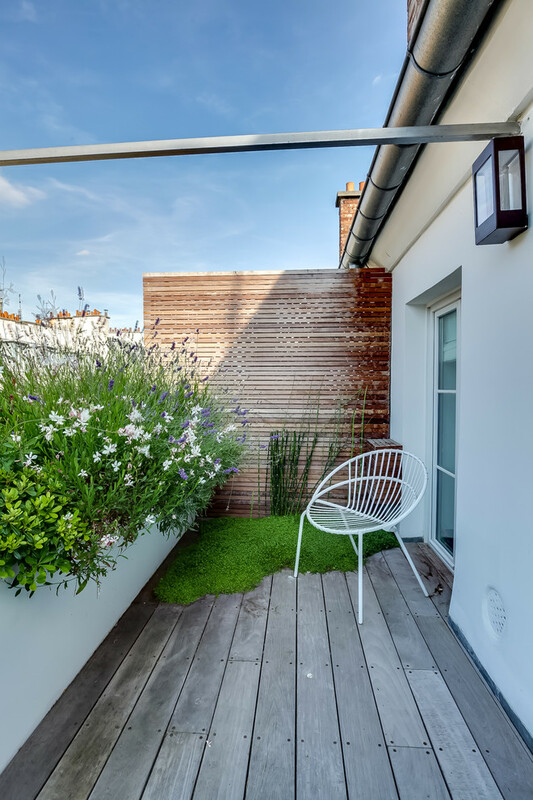 Most homes & apartments in Western Countries and US have a balcony for aesthetic and functional purpose. The balcony’s size, ideally, has been suited with the home/ apartment’s size, but it wouldn’t be any matters if we design it properly. 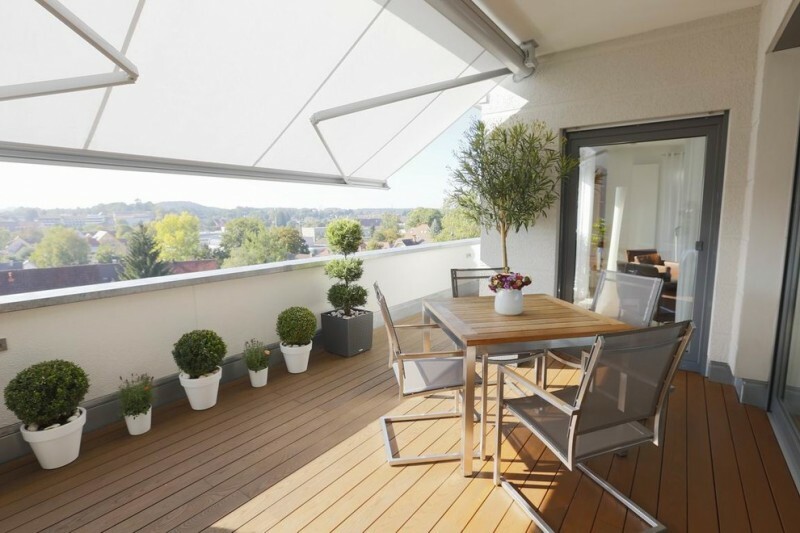 There are so many options of balcony ideas you may love and be your inspirations, but we would help you to take the best ones if you want to pick one as your model during remodeling your balcony. Let’s check them up. 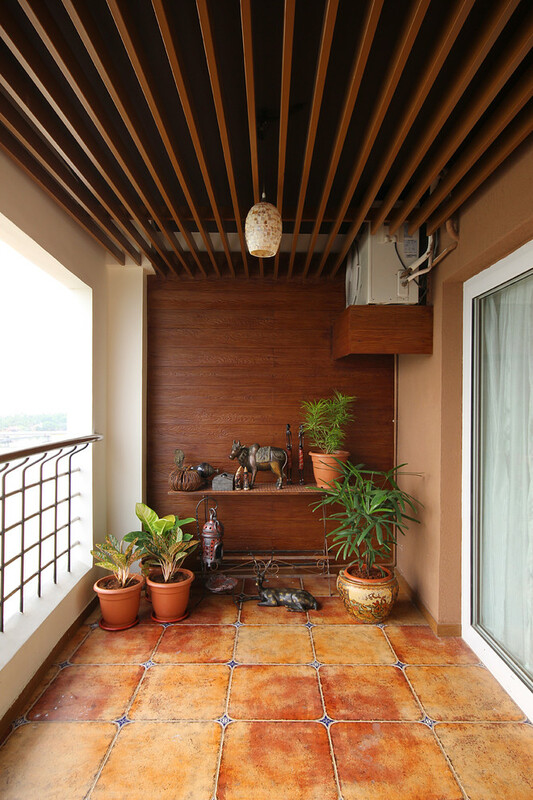 An inspiring eclectic balcony with wall art ornaments. The space is furnished with contemporary furniture sets complete with foam seaters. 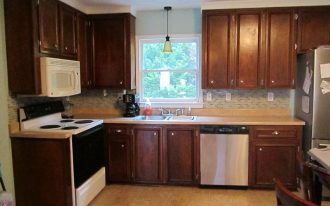 The exterior window shutter and seaters present quite different tones, offering a modern look through pop of colors use. It’s interesting to put some greens in your small balcony. 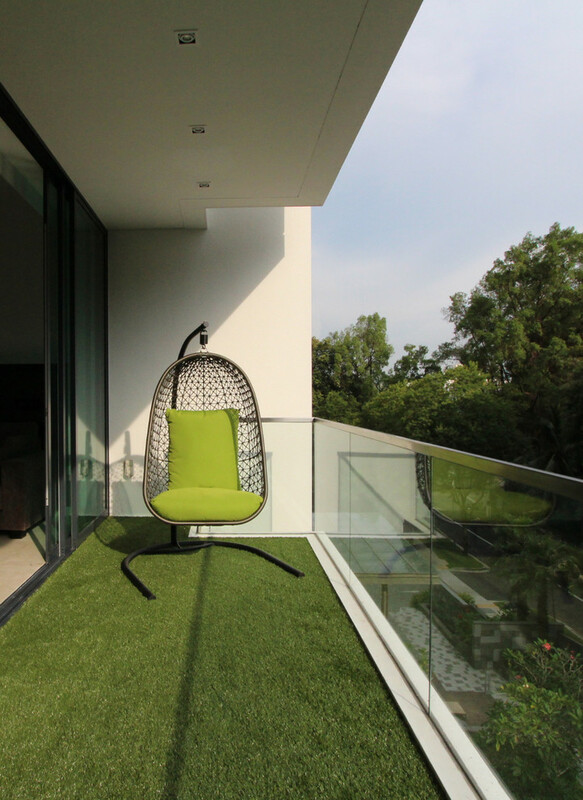 You can use synthetic green grass for the floors and cover it with small sized linen rug. Keep exposing the greens to create a fresh feeling. Add some planters, small and medium sized ones, as the decorations. Place it on wood shelves particularly designed for the decorative planters, and enjoy your new fun balcony. 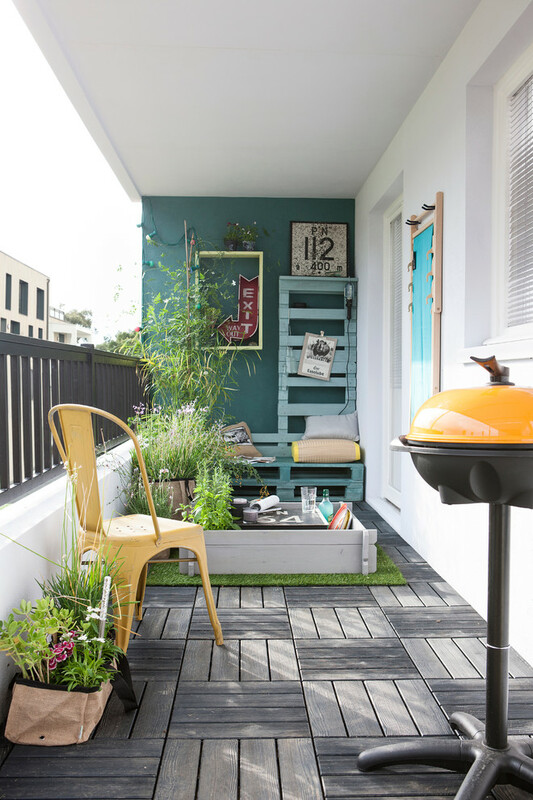 Use playful color for a stylish and cheerful contemporary balcony. 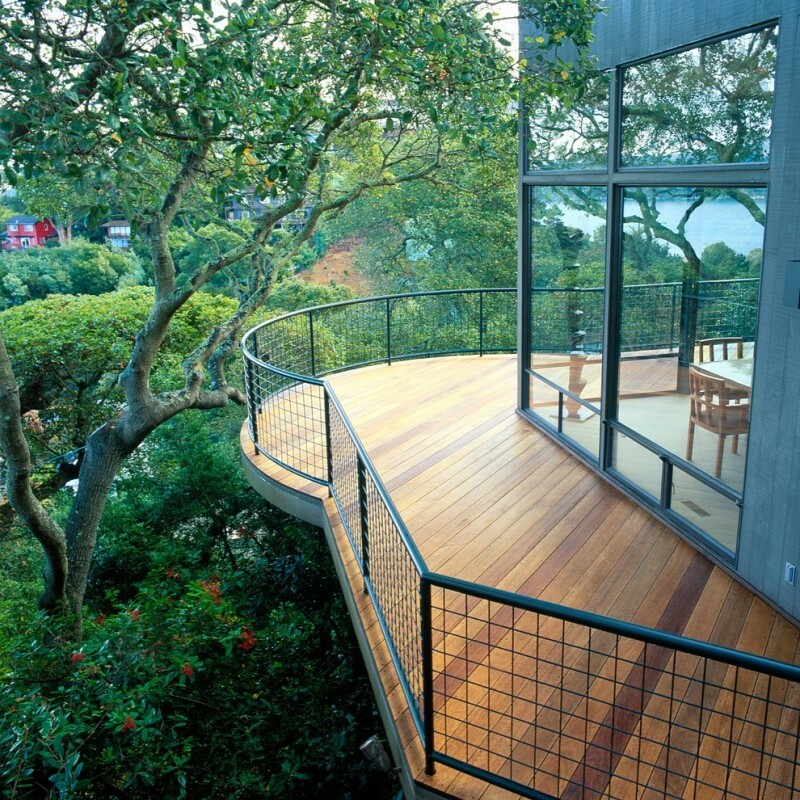 Glass railing needs to include for best safety and view sighting. At the corner, a planter may be added for something natural and fresh in such a comfy space. 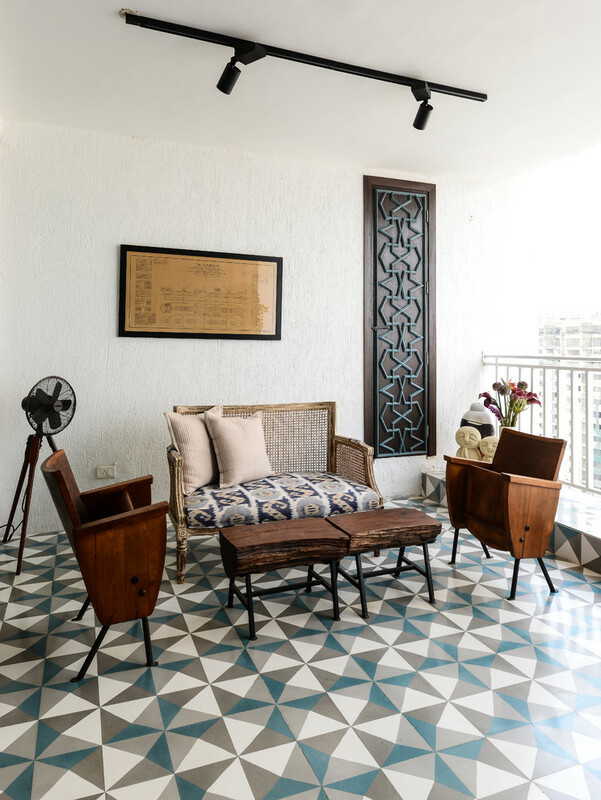 A clean line and modern balcony furnished with antique-vintage furniture sets. The concept is unique. It seems like to combine two opposite styles in one frame. The floors and wood carving wall art are so lovely, it’s hard to find. 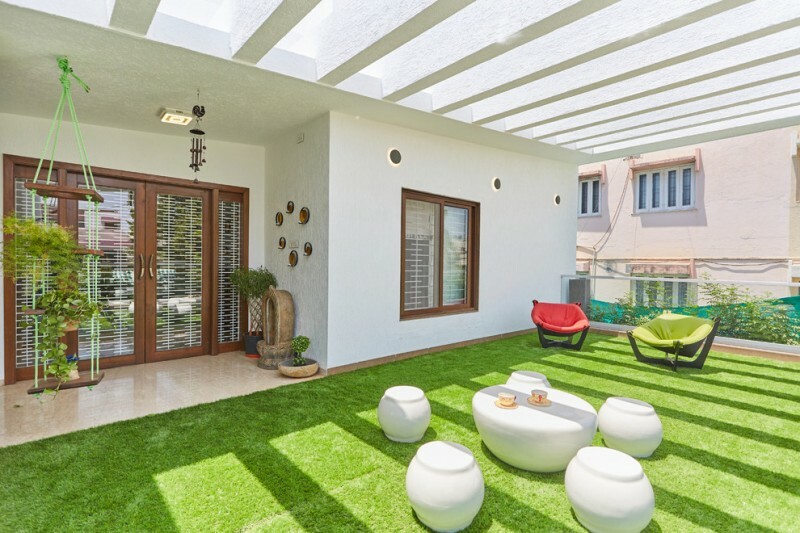 Cover up your balcony’s floors with such green synthetic green grass. Complement it with other greens like decorative flowers grown on decorative planters. Place them randomly like on wall, shelf, and even on the floor. White-painting walls here tend to be a neutral background for the greens. An elegant but small balcony for a master suite. Pairing wall decor is really stunning here. 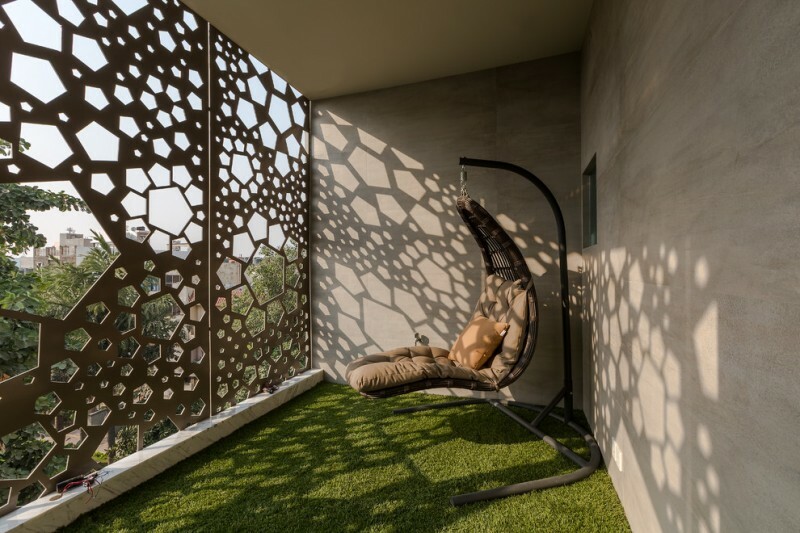 They create a beautiful contrast for the wall and the space in general. Can be said, they’re simple direct focal point of room. They’re more than enough, no need ornament more. 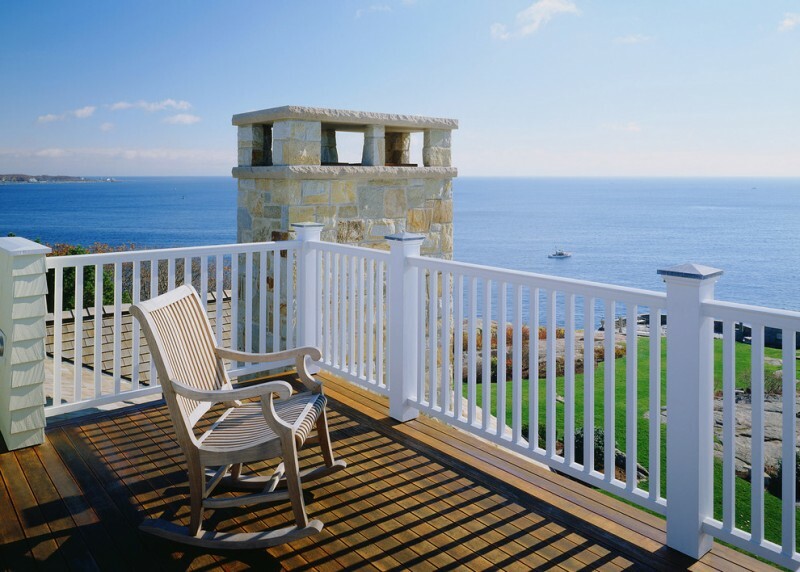 A large sea-facing balcony in modern style. What a wonderful it is, enjoying beautiful golden sunset from this comfy spot. Optimize your enjoying moment with this modern seating area. 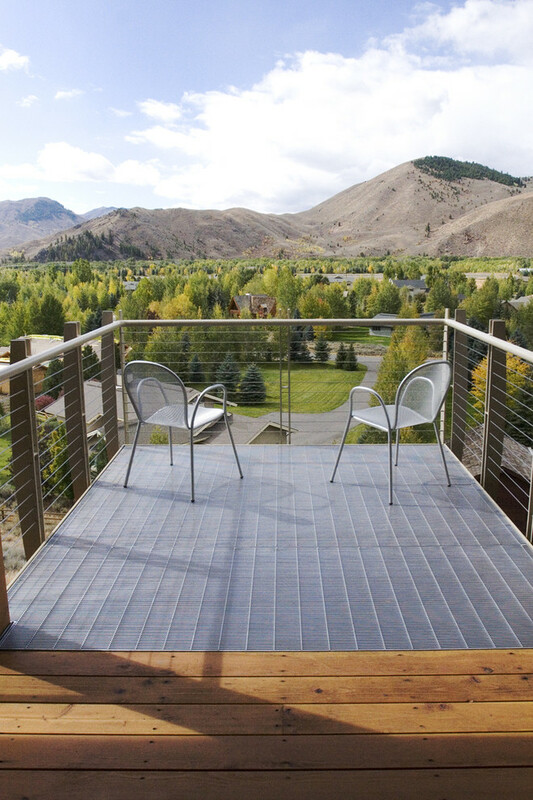 Wood decking and glass railing system support your afternoon moments. Linear concept is applying in this enclosed balcony. The enclosure isn’t only stylish, but also functional, letting the daylights access the space beautifully. As the effect, it visually creates the artistic shadows. This space is really intimate and unique as what most people love. It’s multicolor and keeps in that way for years. Each element of canopy plays their role properly. They are also playful and fun although they are set in such a small-sized spot. Fresh greens add a natural look in this space. 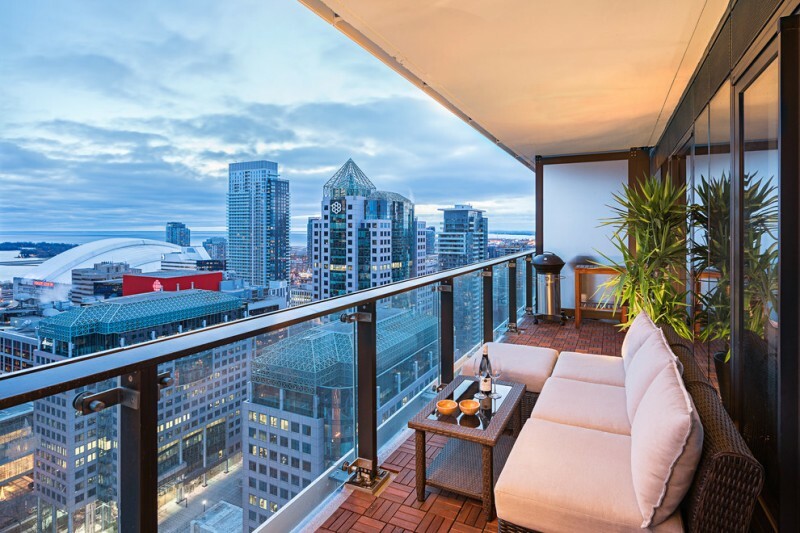 Balcony for two; a perfect spot for a romantic moment. This space is quite recommended for the young families who still do romance anytime. Wood furniture sets like ‘loveseat’ bench or a couple of side chairs are perfect to add, and put some accent pillows as the complementary items. 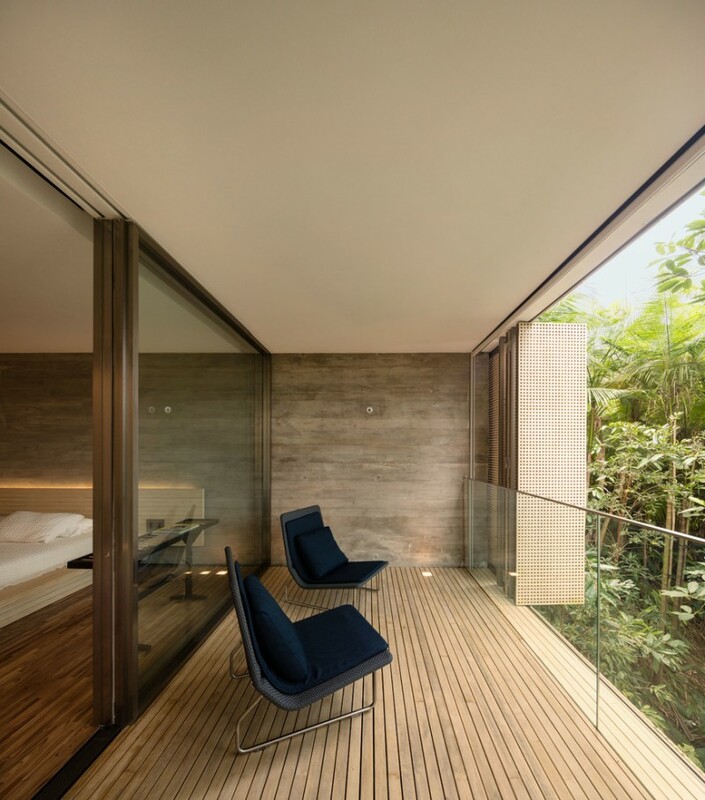 For more privacy, wood partitions would be best choice (as they match the furniture and Asian concept). No furniture at all, it doesn’t matter. 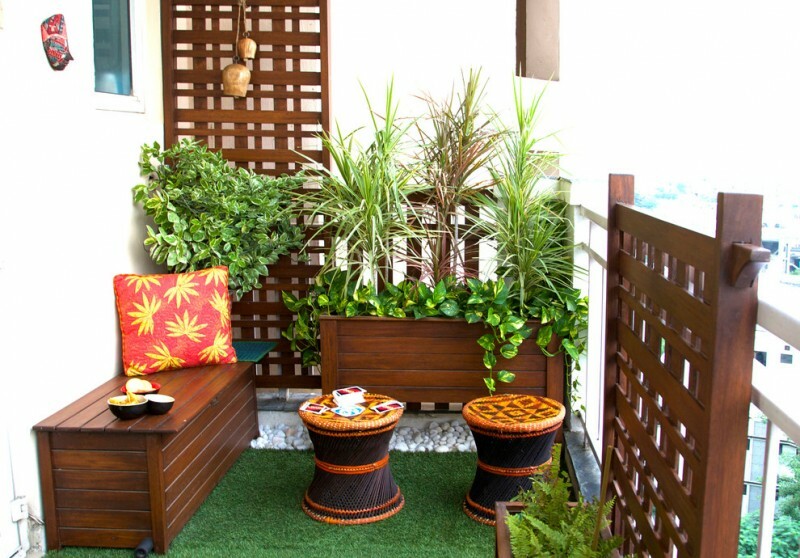 You can optimize your small balcony just by garnishing with your favorite ornaments and planters. 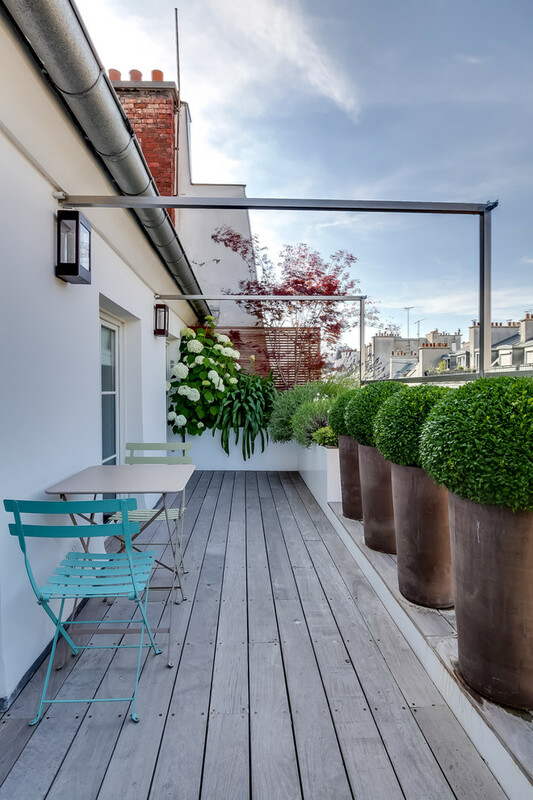 Just three or four units of planters (the small ones) are enough to make this semi-outdoor space stands out. Large traditional balcony – an inspiring one for huge number users. The space has two seating areas: a cluster of clean chairs and a couple of colorful chairs. I love this half room-balcony; a perfect and fun place for kids. Small yet maximum for comfy and stylish space. All furniture are made of dark rattan and designed in modern look. The additional accent pillow add color to this space, and glass top on table offers easy-to-clean way when it’s frequently used for morning coffee or tea. What about the bamboo shutters? They’re optionally used when needed. Large and modern. 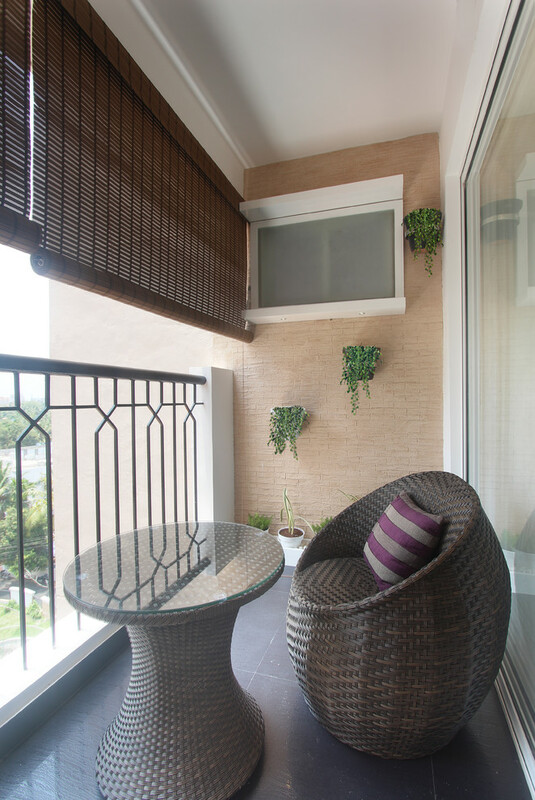 Feel ultra comfort in such airy balcony with your lovely family. The side tables with height-leveled tops companion you during sitting in a modern bench with back. Floating bench with red foam seater also provide more space for large numbers of users. An inspiring narrow balcony in modern style. 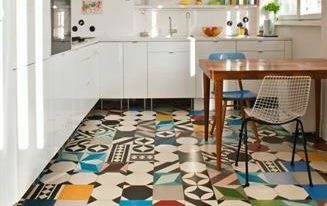 Concrete walls and tiles floors tend to be a neutral look, so they can make other objects stand out. The chair and wall decor, for instance, seem so striking with these walls and floors as their background. 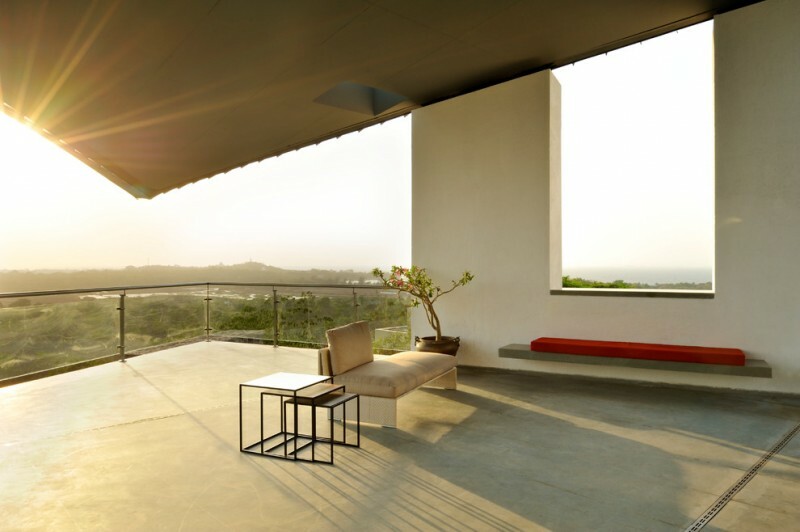 This is another inspiring idea of modern balcony complete with a comfy modern swing. One thing makes this space most interesting is the enclosure, in which it exposes so many pentagon pores, producing very beautiful shadows when natural lights intensively radiate it. It’s clear to see that the shadows perfectly fall into the concrete walls. Isn’t wrong if you want to insert something rude reflecting raw rustic concept in your trendy balcony. 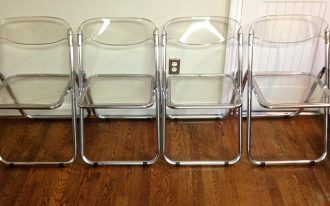 This shabby & old hardwood table, for example, has an opposite look over these modern stainless steel chairs. By the way, their contrary appearance enriches this space. 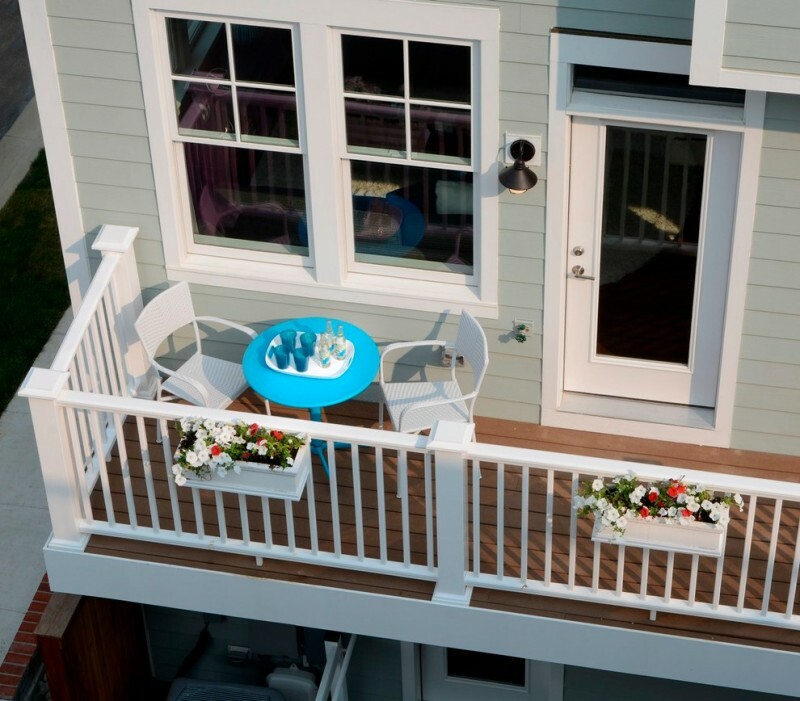 Small-sized craftsman balcony idea with the outdoor furniture for two. 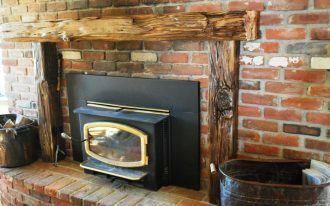 Uniquely, the homeowner chooses a console table rather than center table. An outdoor umbrella addition here is intentionally added for an ornament, not a functional item. This spot is really recommended for a romantic dinner since it’s specifically designed as an intimate nook where your spouse & you can overlook the backyard. The example of large craftsman balcony. It’s furnished by a set of dark-finishing metal seats and center table facing an outdoor fireplace. 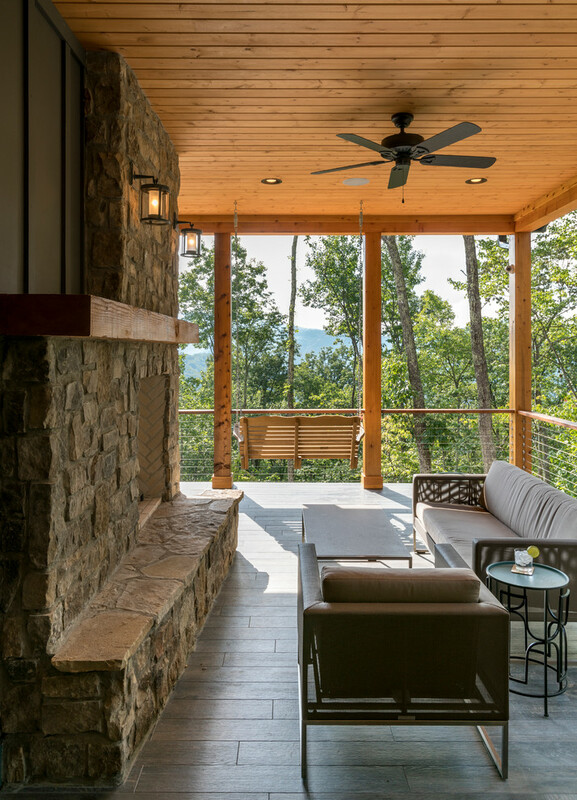 This semi-outdoor space is built in custom and dominated by natural elements like stones and woods. 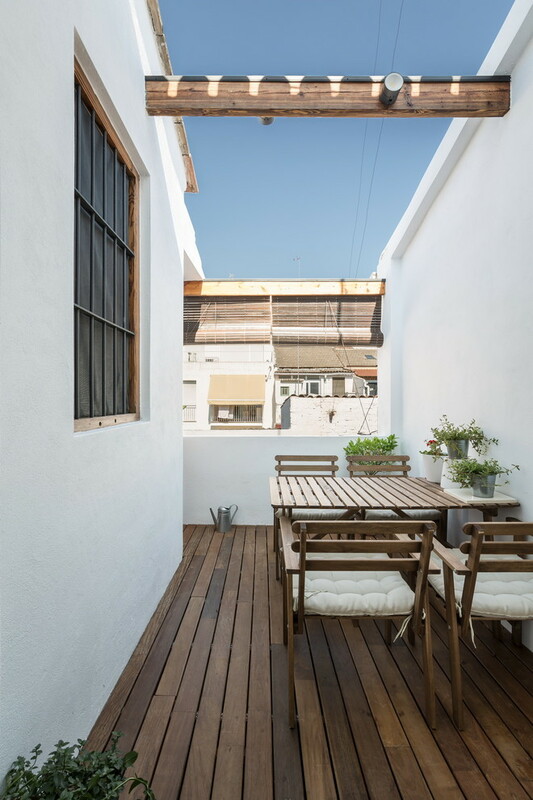 At glance, it goes to modern craftsman balcony as the main idea. May be you want to adopt this mini balcony in Chelsea. All is in white, but not the center table. 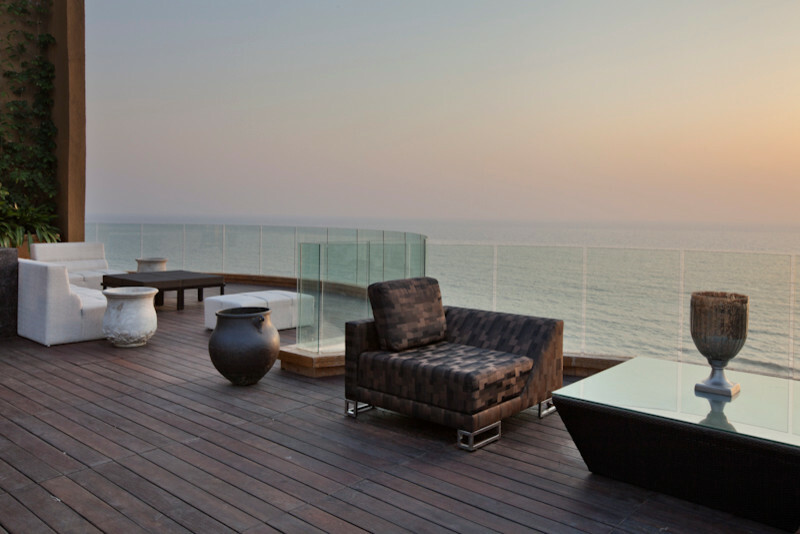 Wood decking here gives natural and warm-look, making the space comfier. And, the mounted planters present fresh and cheerful ornaments through the beds of blossoming flowers. 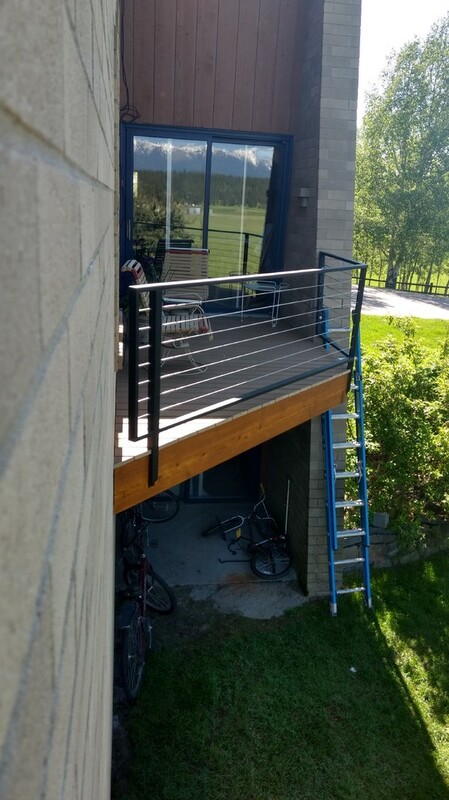 A narrow balcony supported by steel ladder. 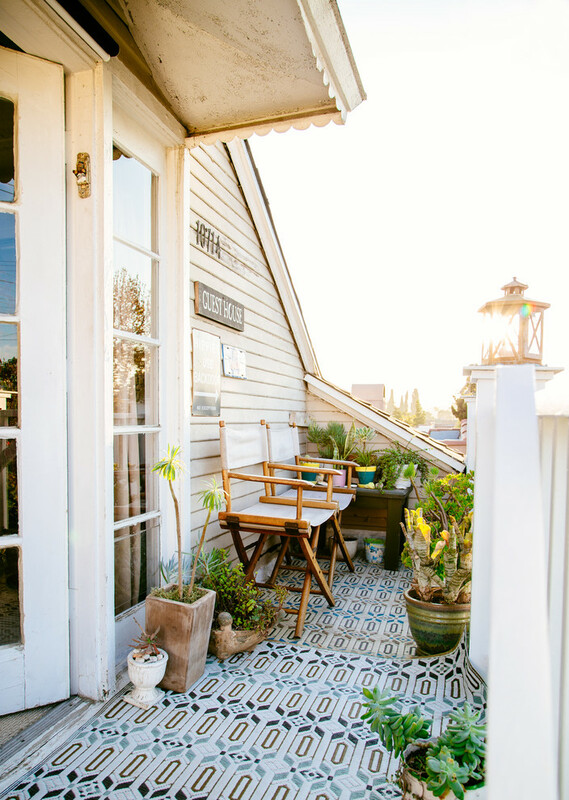 If you need another access to get your balcony, this idea may be one of your best options. You can directly access the top just by using such tough ladder. Or use the ladder as the ornament, and only use it when needed. 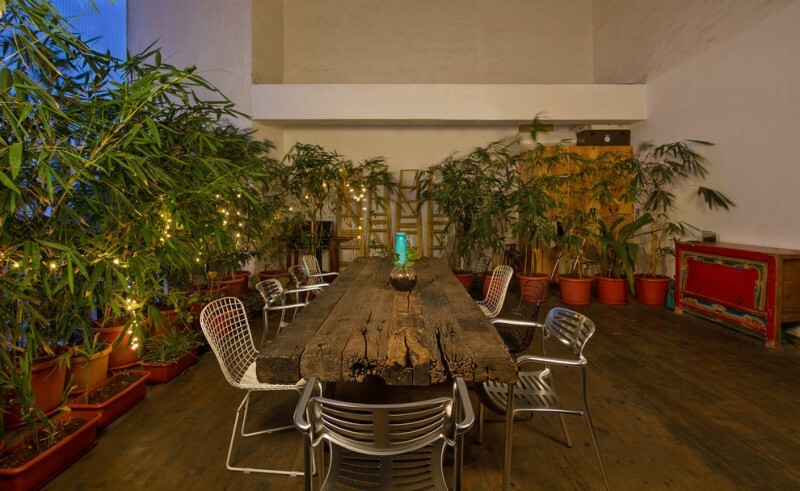 Sit alone and enjoy the greens around, this space would be a perfect spot for your lonesome. You just need a chair that provides a comfy place for witnessing the beauty of sunset/ sunrise behind the crowds of trees & leaves. Contemporary craftsman balcony with pergola. Look at the pergola, wood decking, and furniture, all are in similar element and tend to be clean look. The rails, in addition, are designed in simplest look, supporting the contemporary concept. 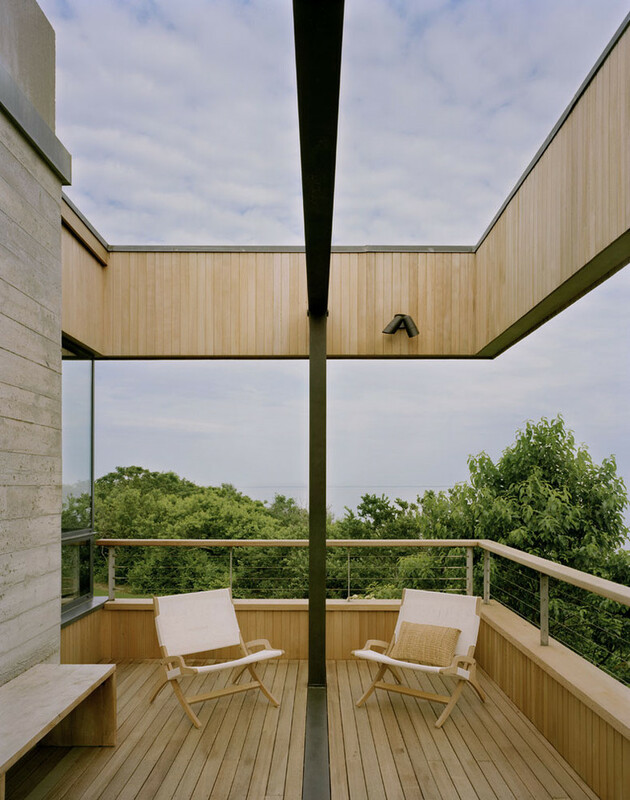 The most interesting point in this contemporary balcony is the angled wood deck supported by the wire rails. The overall look is clean lines with contrary-look rails, presenting another contemporary value in a contemporary architecture. A mid-size modern balcony idea. The ceilings are inspired from pergola but they’re built in wider for each individual beams. 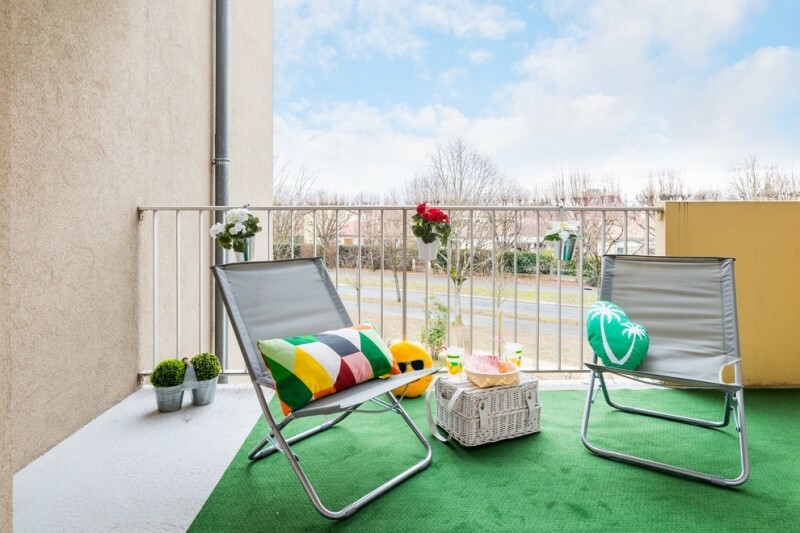 Low-base modern loveseats also improve the balcony’s value. This is a small balcony idea for small apartments. The design is simple but comfy. The space is dominated by white and other soft color tones, including the furniture. A glass sliding door can disappear when it’s optimally opened behind the outdoor wood walk-in closets. Accoya woods are really recommended for superior decking due to its durability. The texture is soft but tough, and the color is clearly light, so it would be a perfect match for furniture or other interior stuffs in bold tones. 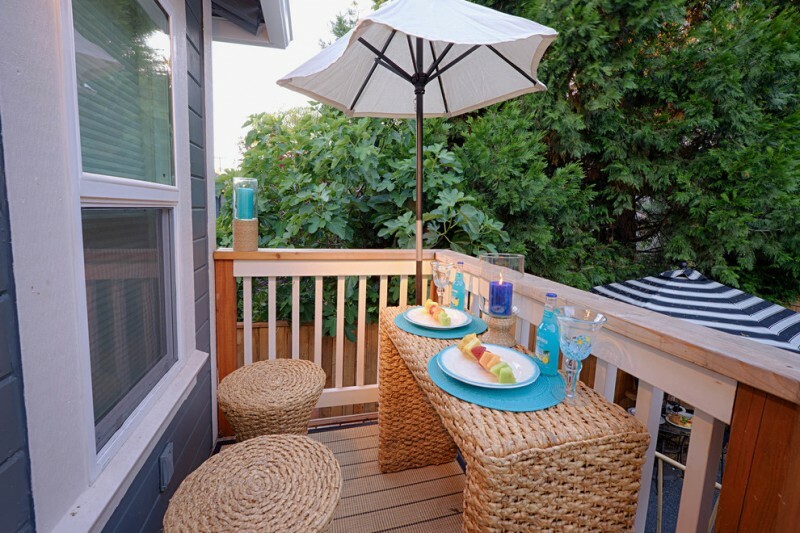 Like in this picture, bold navy blue chairs look so obvious when being pairing with light-toned Accoya wood deck. This is a truly balcony in which it just copes small particular area. This outdoor space is built from mild steel that then galvanized with glass panels. 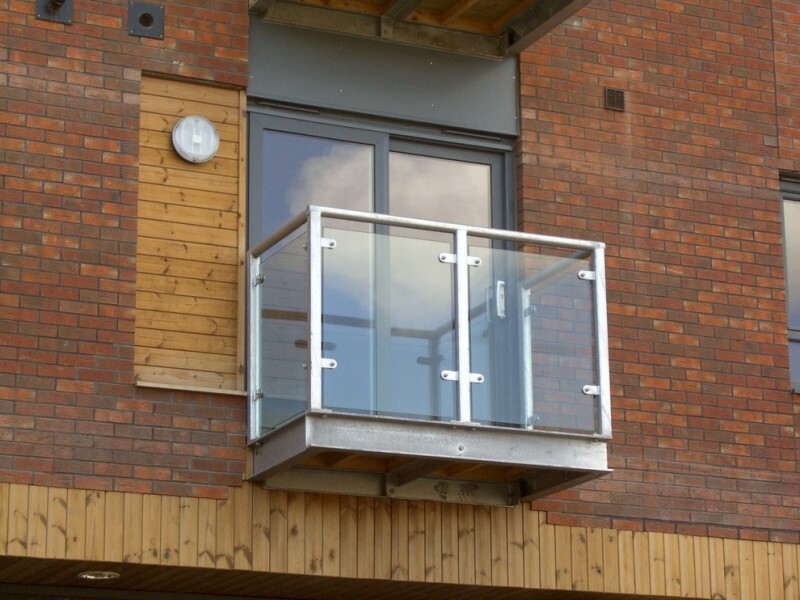 The glass panels are guarded by durable and tough metal railings. 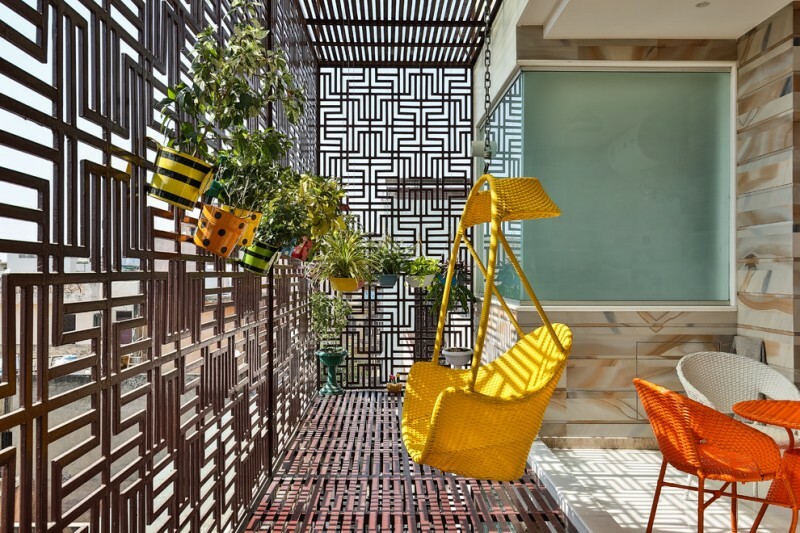 Such idea of small balcony is commonly produced for apartments. It must be fun to enjoy amazing views from such a comfy balcony. This space actually isn’t really large but quite cozy to stay for hours enjoying the golden sunset while having pleasing chats with kids or our spouse here. Tough and durable glass panels supported by metal rails will safely protect us from falling or other undesired accidents. Zen inspired balcony in dominant white. The homeowner uses modern furniture to improve its performance, and each interior item has its own uniqueness of color. Additionally, in one of wall panel, we’ve discovered three stunning wall arts that perfectly blend with clean grey wall background. 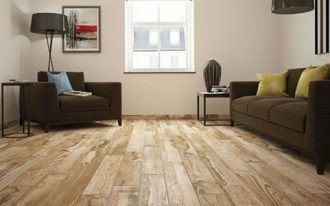 The final, whitewashed wood floors are chosen due to its potency to fit the exterior tone. What a perfect spot to look out the large rainforest. You may name this balcony a Rainforest Lodge where you can take a seat for hours while staring the huge mass of greens, mountain, and even a large bay nearest your house. Just provide a pair of chairs to get your friend or guest joining your fun afternoons. 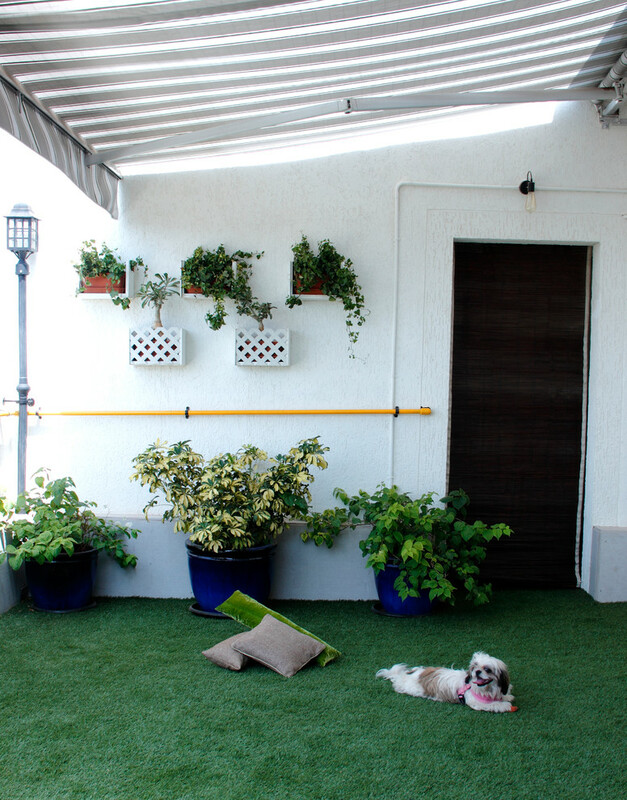 It’s O.K to add a shed for blocking the direct sunlight or rain in your balcony. Make sure you’ve selected one that’s similar to exterior tone for a harmonious look. This idea is gonna be great idea for you guys who want to protect your balcony and its supporting items from weather attack. 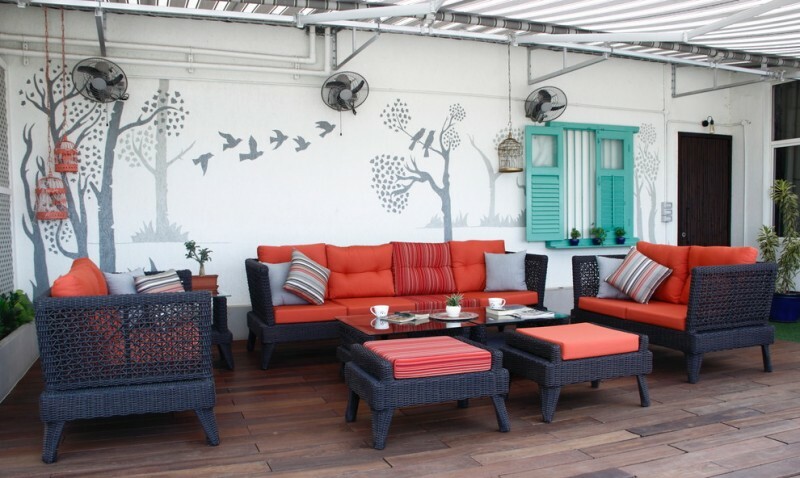 A perfect spot for gathering and having intimate moments with lovely family. A wood rocking chair complements this space, and wood railings are obviously reflecting the traditional concept as what the owner wants. Create your own comfort zone in such spot where you can enjoy your lonesome while staring at your favorite spots of greens and smelling the freshness of leaves outside. 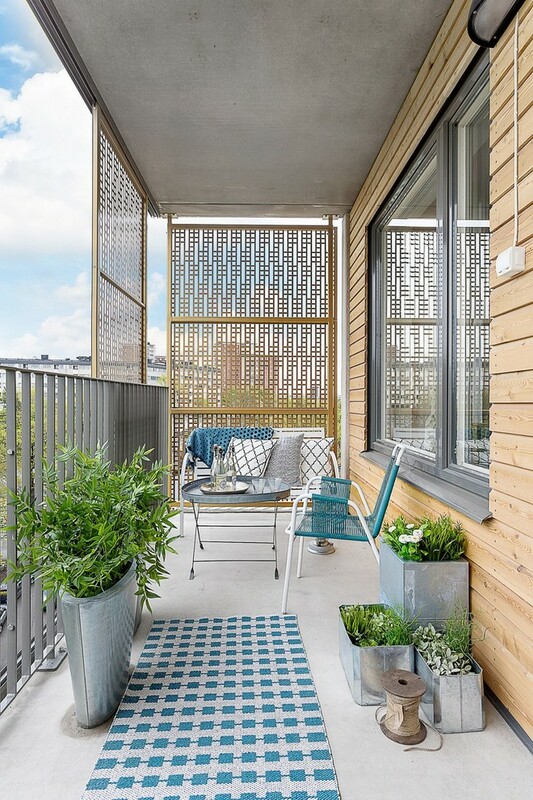 Use green tone for creating a matched theme between your balcony and your favorite views. It’s so creative and fun, right? Balcony adds value. 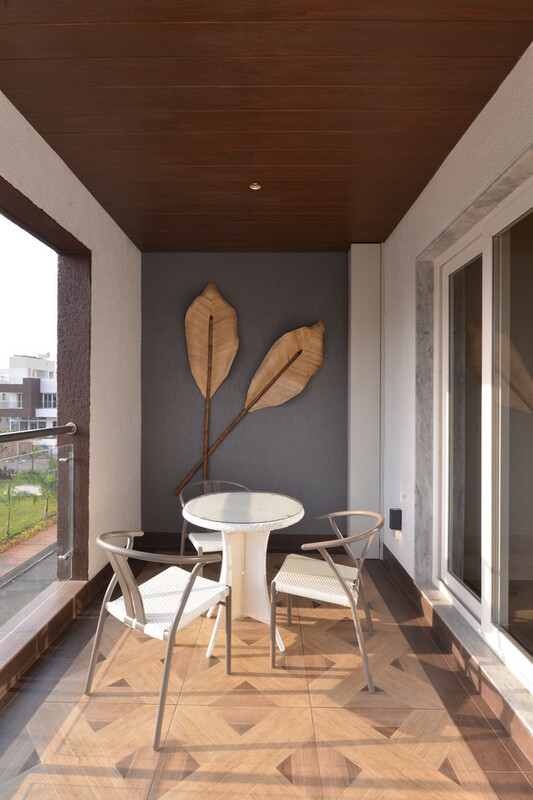 Each elements of exterior, including balcony, has special character that plays a big role for overall performance. 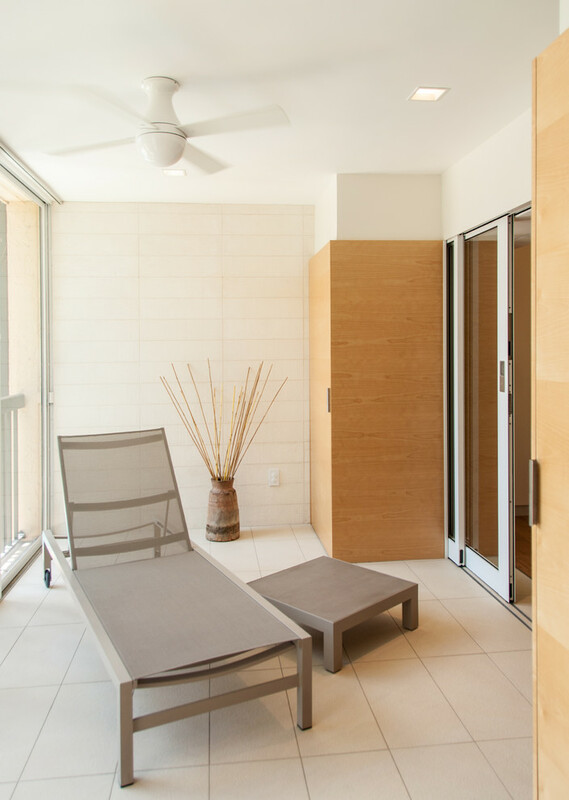 The walls, furniture, and even glass panels, and metal rails contribute in providing a comfy seating area. 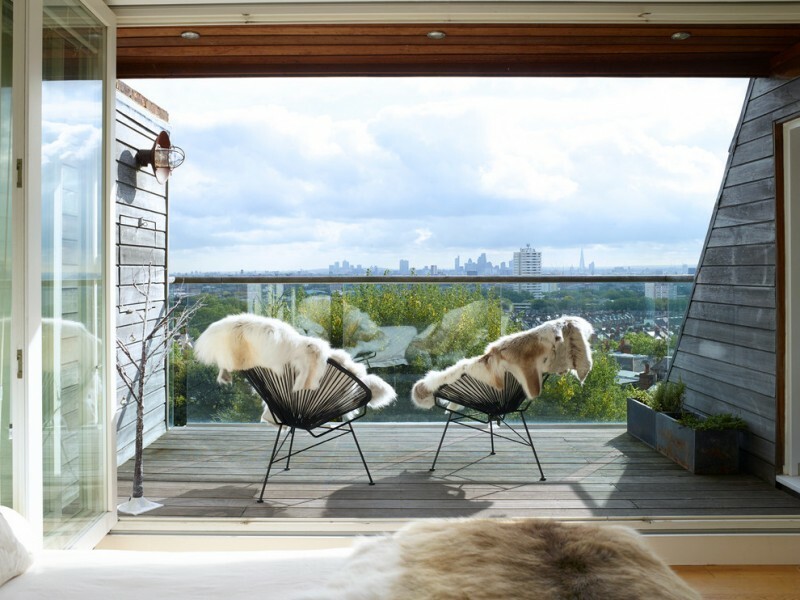 Scandinavian style balcony with unique wood partitions. The partitions here are handmade and custom, they are produced by request. The wood color matches perfectly with wood siding exterior walls, and be the contrasting background for the furniture and rug which are in bright blue. The furniture is so stunning. It can be said they’re the most interesting objects and potentially be the direct focal points in this space. 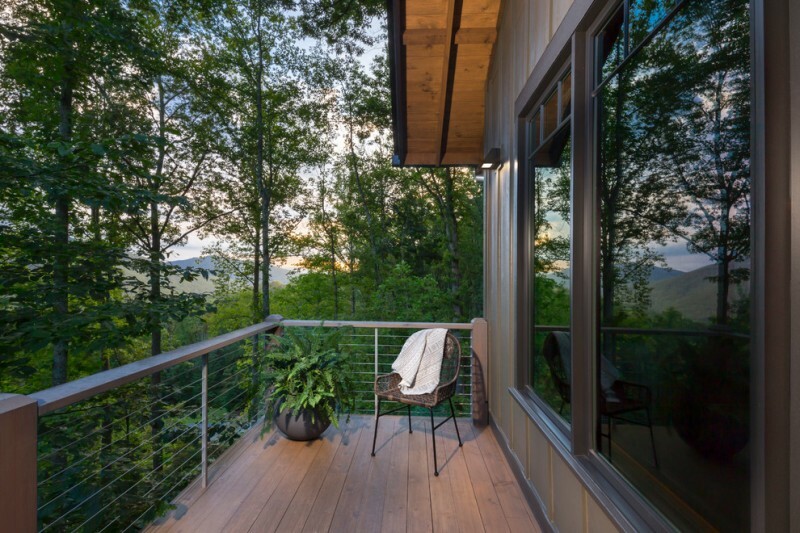 Wood decking and siding walls as if balance the dominance of those pop colors, so it creates a perfect combination: natural warm and modern bright. Clean lines balcony with full of details. Details here include the greens and wall decors mounted on blue ocean walls. The facade actually exposes simply clean-look paving floors and blue-painted walls. And, mix concrete-metal rails optimally complement it. 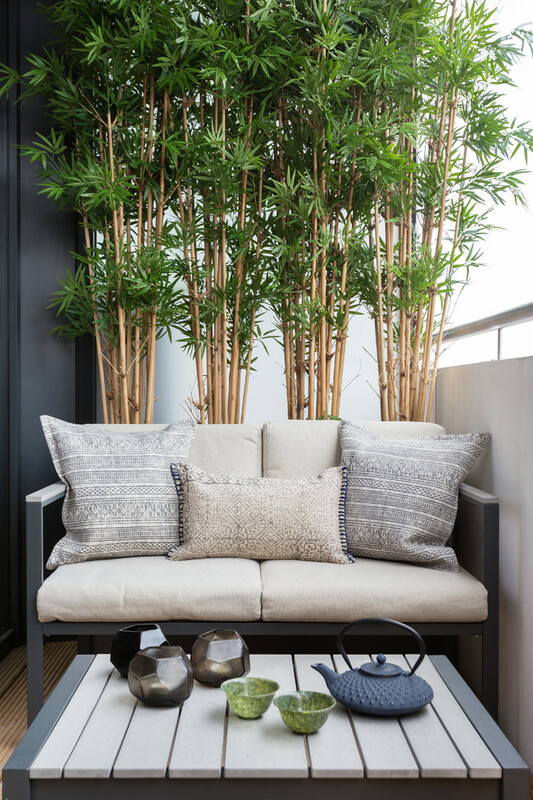 Create huge comfort in your small balcony with this idea. The decorative bamboos become fresh and natural background for modern furniture, giving a balanced feel between modern and natural. Simple and clean lines balcony. It’s really good idea for you guys who have matters of limited space for your balcony. 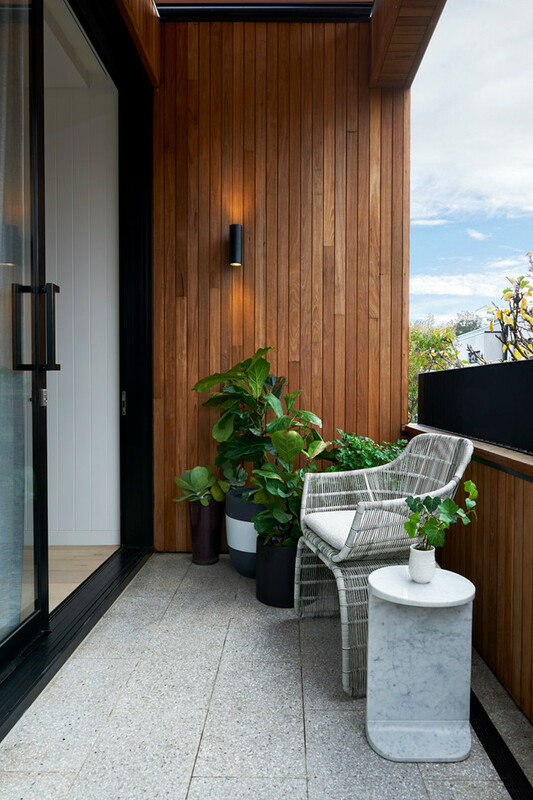 This small space just needs a chair and side table (select the best ones designed for small/ limited space) and highlights it with simply permanent concrete planters. Green climbers seem to be the best choice for giving the color accents in this space. At glance, it’s like a mirror reflecting all objects around. Actually, the architect just wants to create reflective visual effect by placing the similar objects in the opposite side. The result is so amazing. If you want to have a balcony with unique concept, this idea must be chosen. 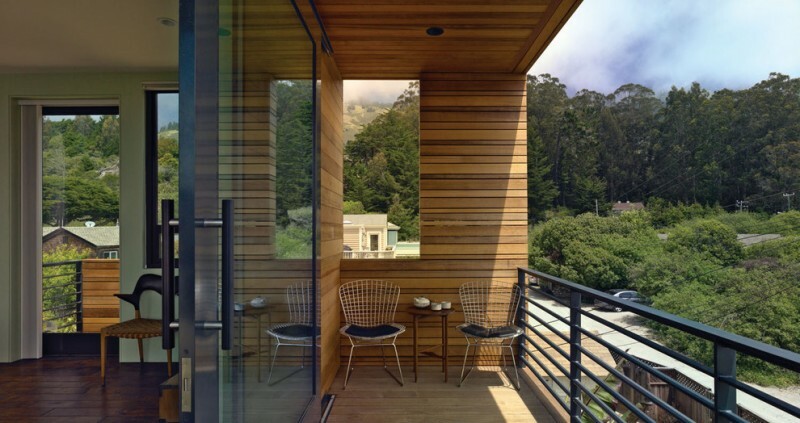 Modern balcony dominated by wood siding exterior walls and wood decking floors. This spot is supported by solid metal railing system for security & safety warranty. On the wall, there is rectangular-shaped opened panel for an air access and decoration as well. Higher wall may be the best choice for more privacy. Yet, it’s better to keep a little bit opened space for sightseeing, and furnish this space with weather-friendly furniture sets. Indoor-facing chair may sound so weird for you, but it isn’t bad to try it. 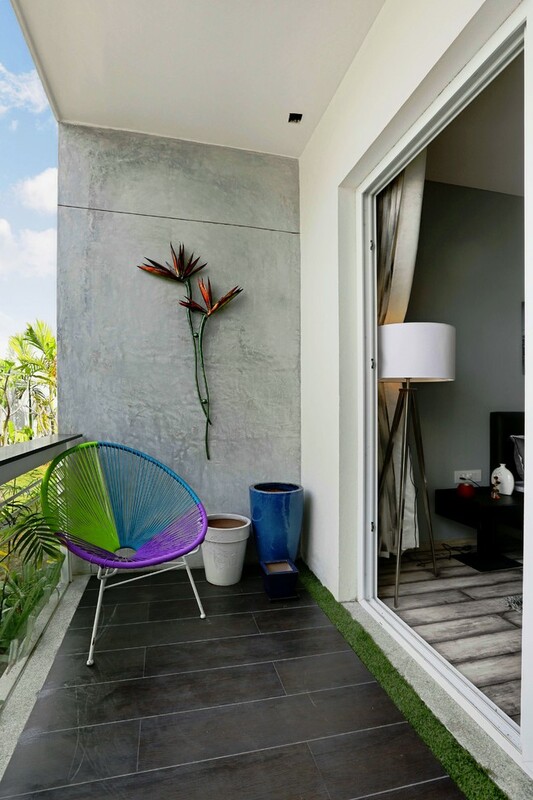 You may do an antimainstream idea of furniture layout for your balcony. 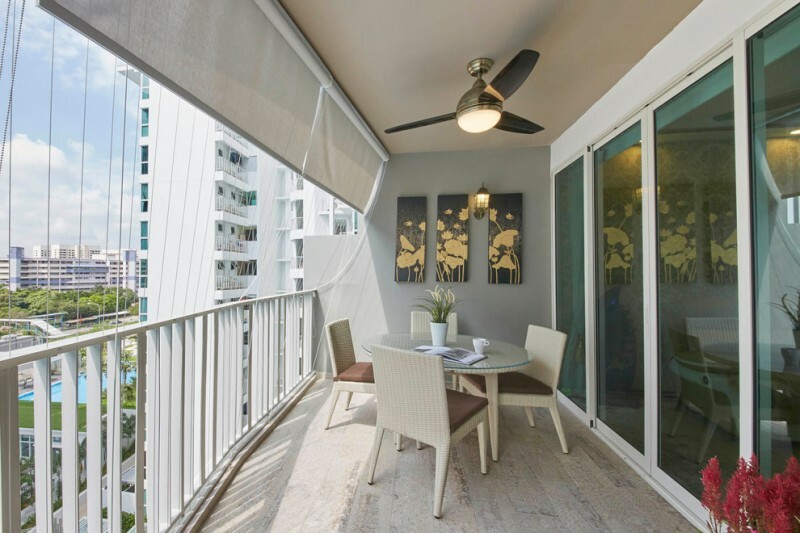 You can enjoy staring at your bedroom while drinking your hot tea/ coffee in your small balcony without missing the airy atmosphere and breeze. 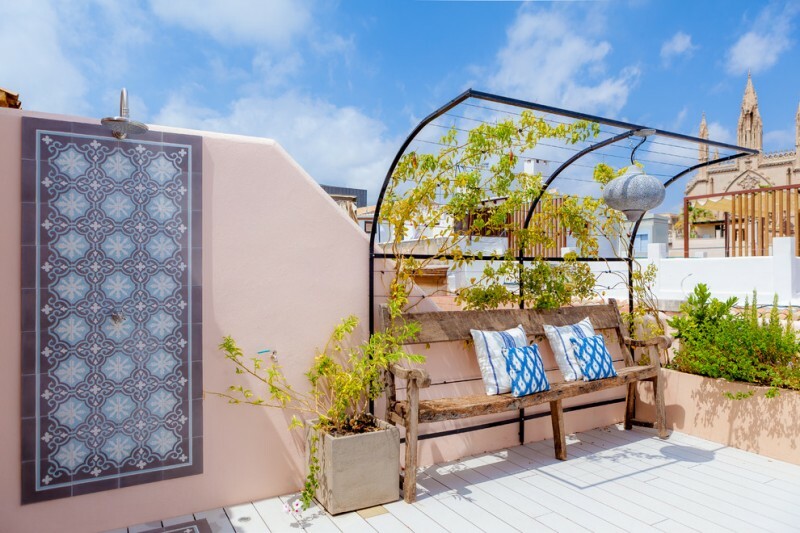 A unique & comfy spot in a Mediterranean style balcony. The curved metal here is used for growing the green climbers and for a garden lighting installation. And, the old and shabby wood bench is placed exactly on its underneath. When the greens grow well, they will be fresh & green wall background for the bench, and the top will be a beautiful and natural shade. 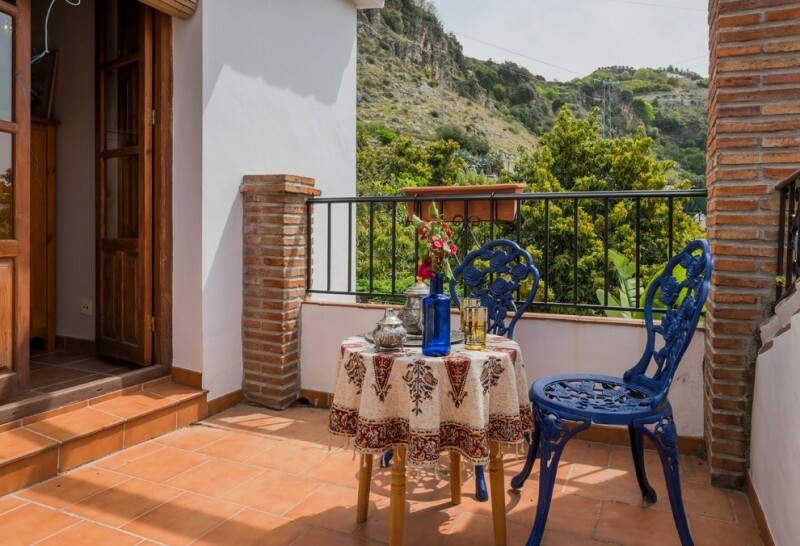 This is another inspiring Mediterranean style balcony. The space is attached with black stained metal rails supported by red brick rail posts. 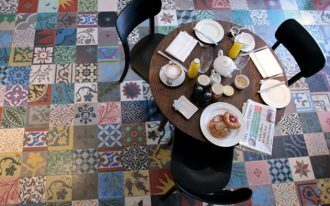 Navy blue seats directly attract anyone due to their contrasting tone against the terracotta tiles floors. Really fresh and minimalist. 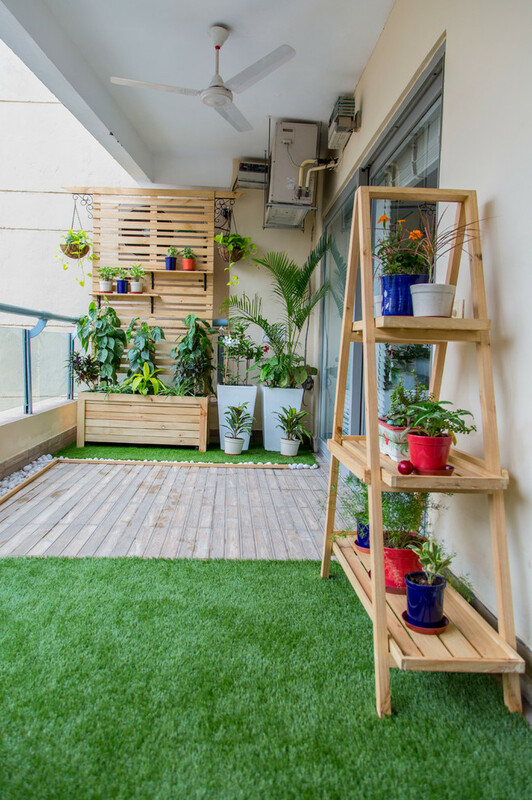 Optimize your small balcony with greens or herbs growing around. A seat may be added to let you enjoy the greens/ herbs and the blue sky as well. 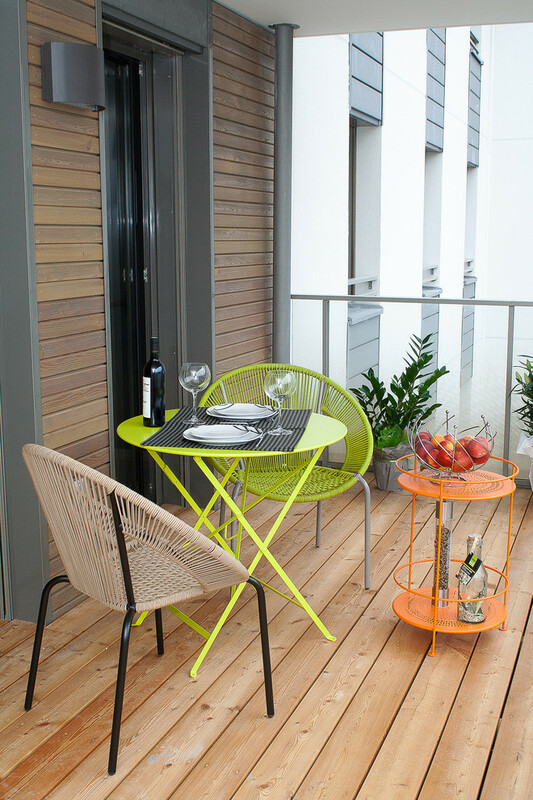 Folding chairs can be a great choice for a simple and small balcony where you can put and keep them when needed. Add a rug for making you cozier. Small pots are also recommended for accenting the space. 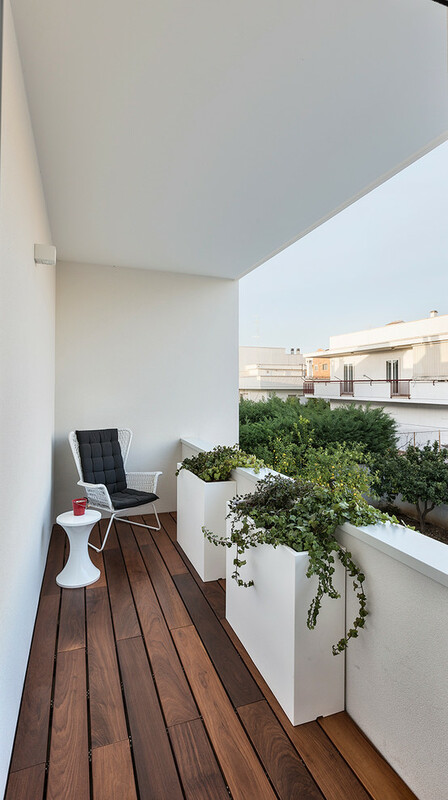 Well-arranged planters become one of most interesting objects in this contemporary balcony. Their color is earthy brown, as balanced as the floors’ color, but beautifully contrast with the herbs. 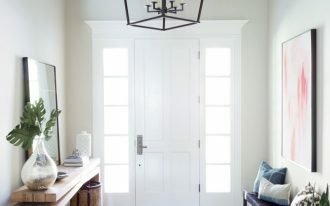 This kind of ornament vividly brings a fabulous look, especially for such a clean lines space. 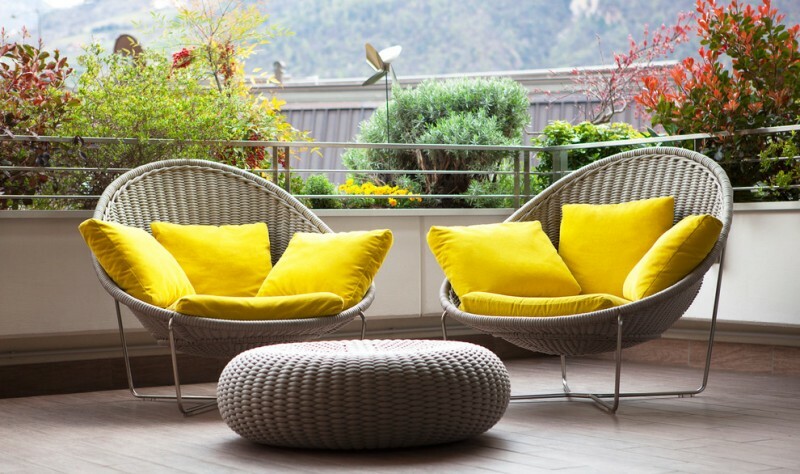 Highlight your simple-designed balcony with something cheerful like these yellow accent pillows. They look so stunning and be the focal points in this spot. Provide more than one and use light grey modern furniture set as their best match.